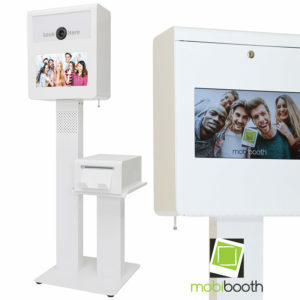 Mobibooth Encore™ is a premium DSLR photo booth turn-key system. 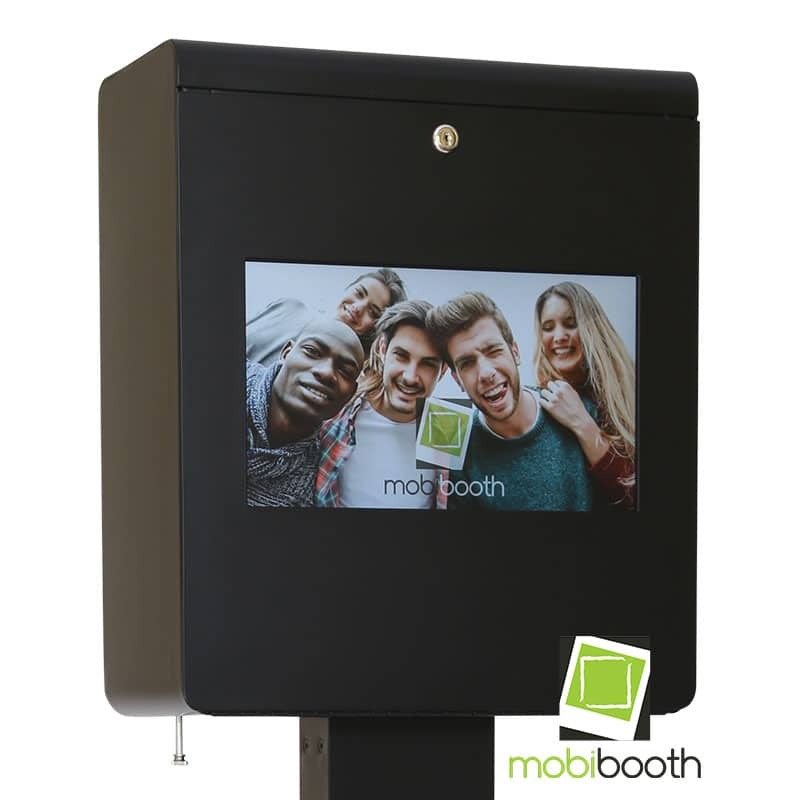 Featuring Canon DSLR camera, DigiBee® strobe, 15.6” front touch screen, rear slideshow, tool-less tilt and rotate, Bose® sound system and 1 year free PBO Template Club. - Computer, Core i5, 8GB RAM, 256GB SSD. - Paul C Buff DigiBee® 400 studio flash. 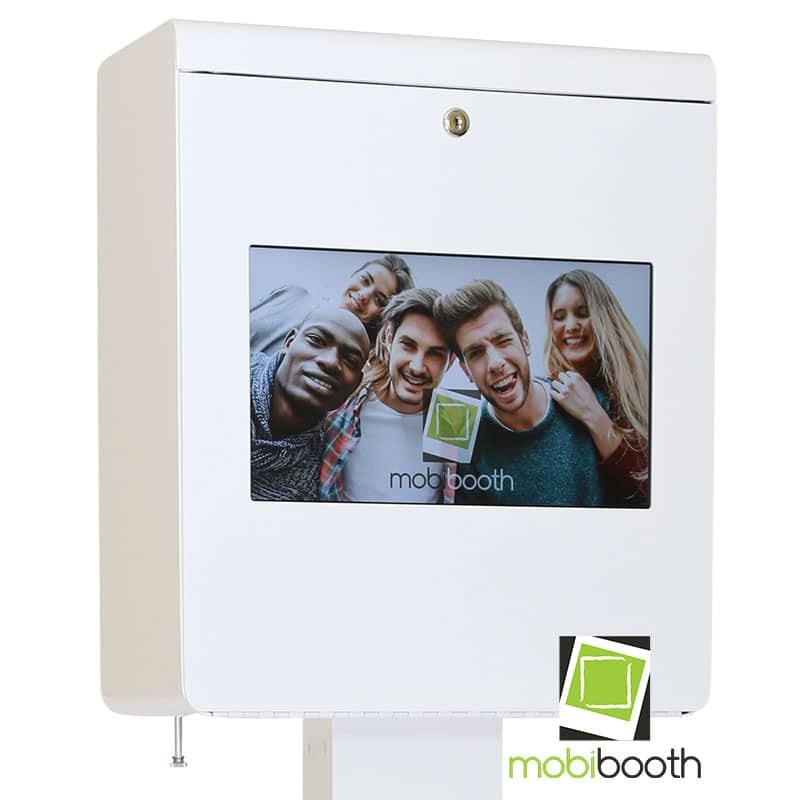 - Front touch screen, back slide show monitors. 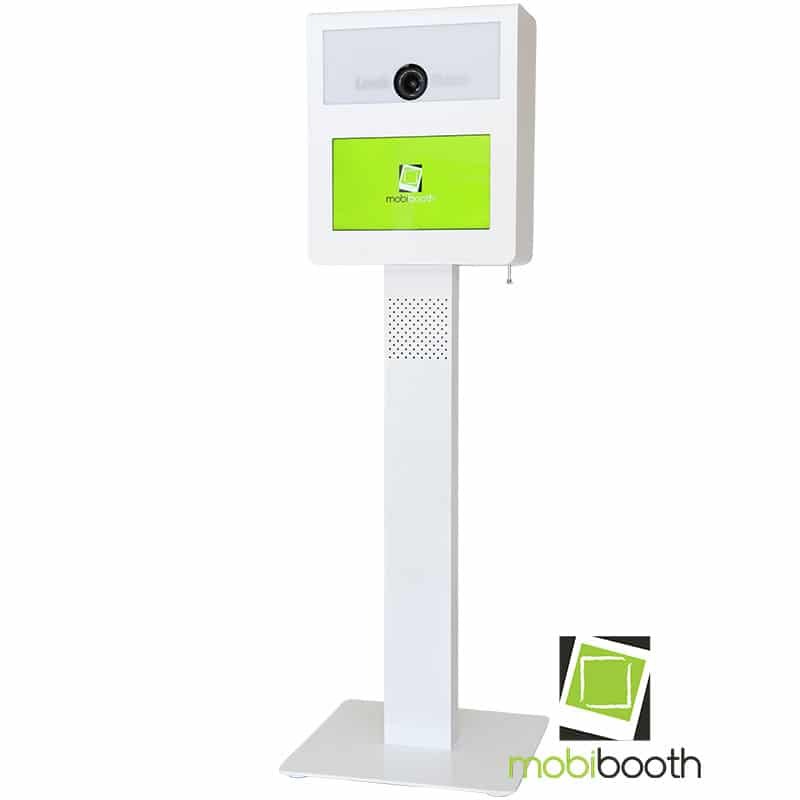 - Prewired with fans, surge protector, 4-port powered USB 3.0 hub and PC-sync cable. - 2 Rolling cases with fitted foam inserts. 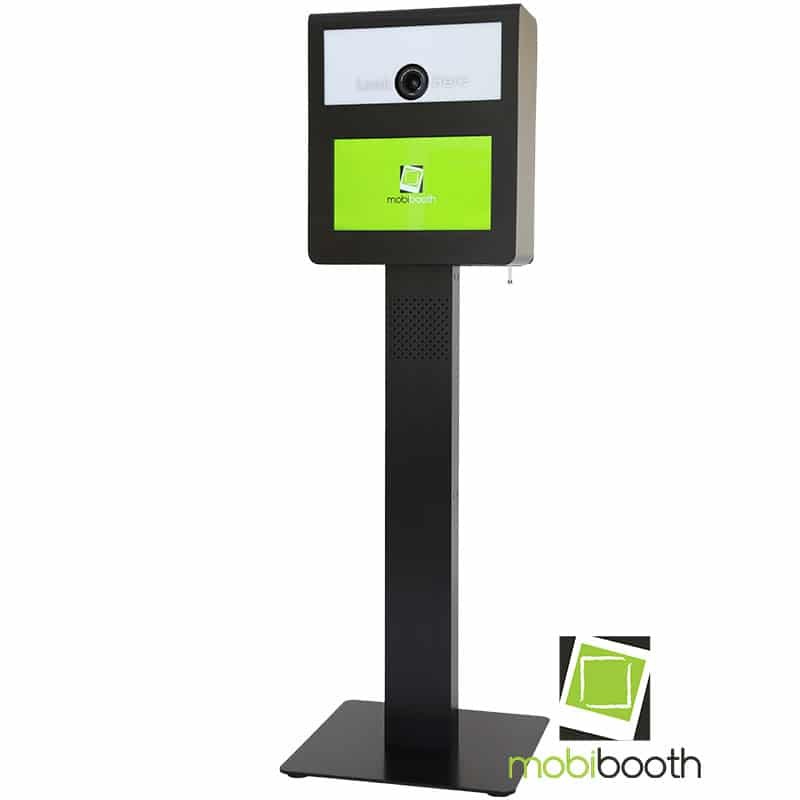 Includes: Printer stand with shared base plate, FREE Darkroom Booth 3 license and FREE PBO Template Club VIP membership (1 year). Canon Rebel t6 series camera and Canon DC coupler. Ships separately. 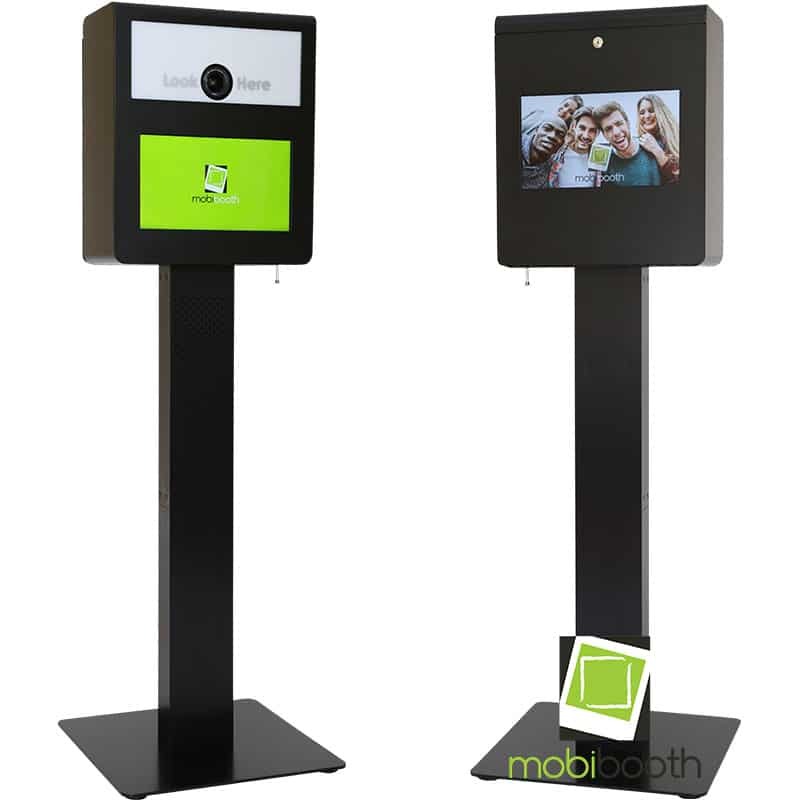 Add the extra dimension of sound to your photo booth with a Bose® sound system right inside your photo booth. Ships separately. Includes DNP 620 dye-sublimation printer and one box of 6x4 media (800 prints). Ships separately. 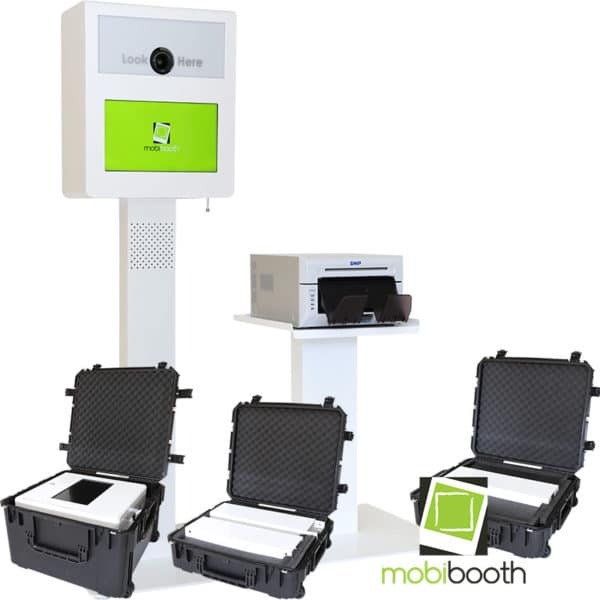 Protect your dye-sublimation printer with this TSA approved waterproof rolling case. 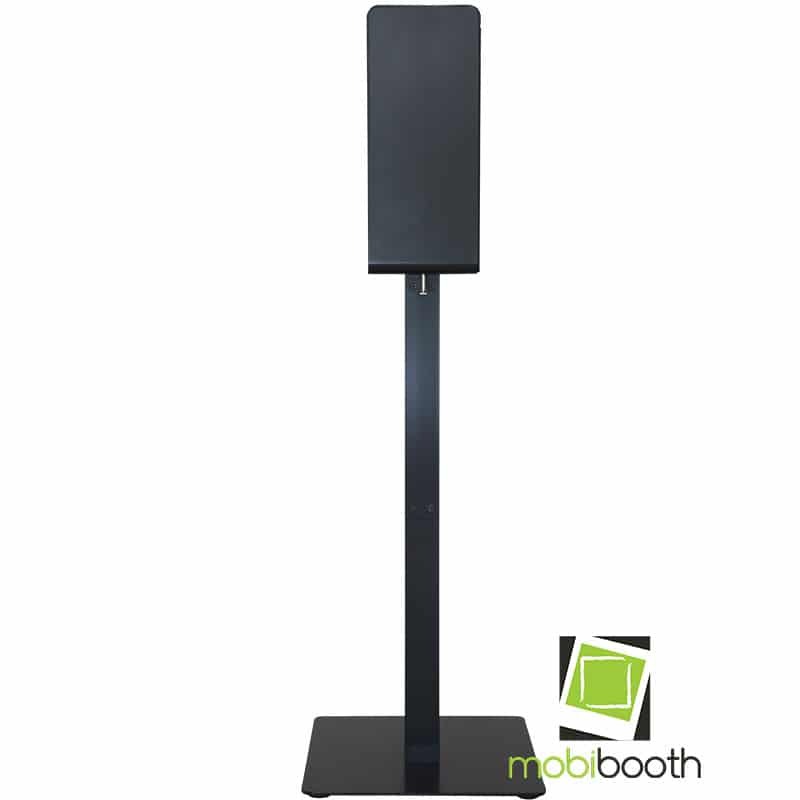 Includes tow handle for easy transport and a custom fit foam insert for DNP 620a. 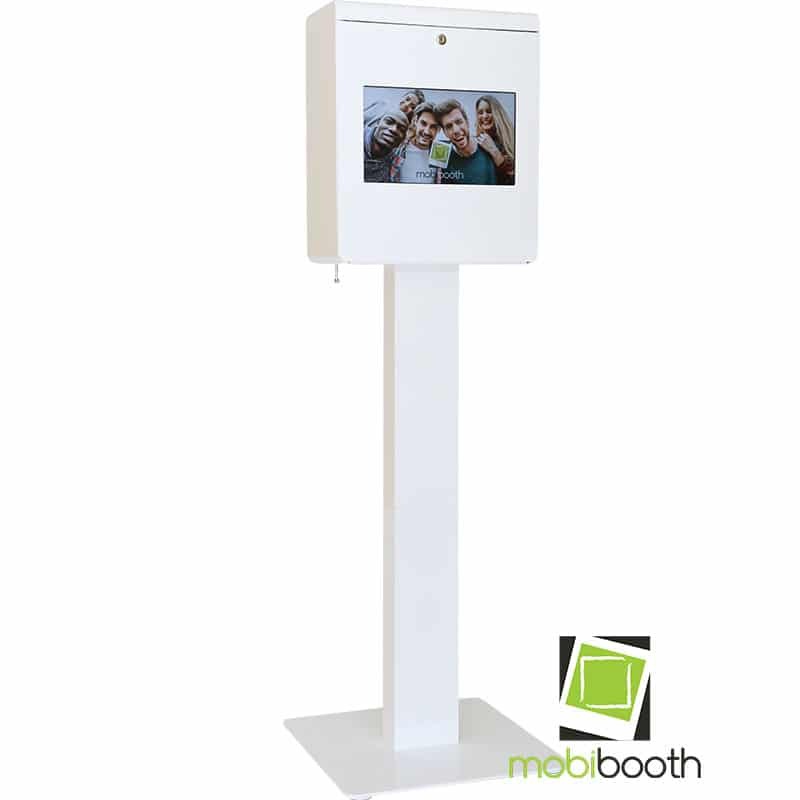 The Mobibooth Encore™ our premium DSLR photo booth system. 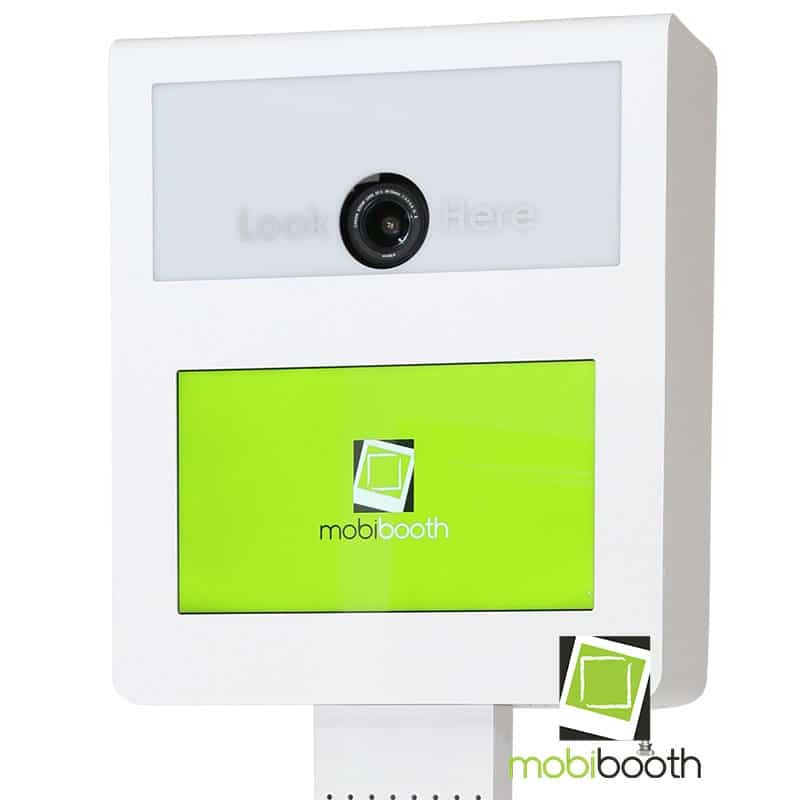 The Encore integrates a Canon DSLR camera, DigiBee strobe flash with a 15.6” touch screen and matching rear slideshow. 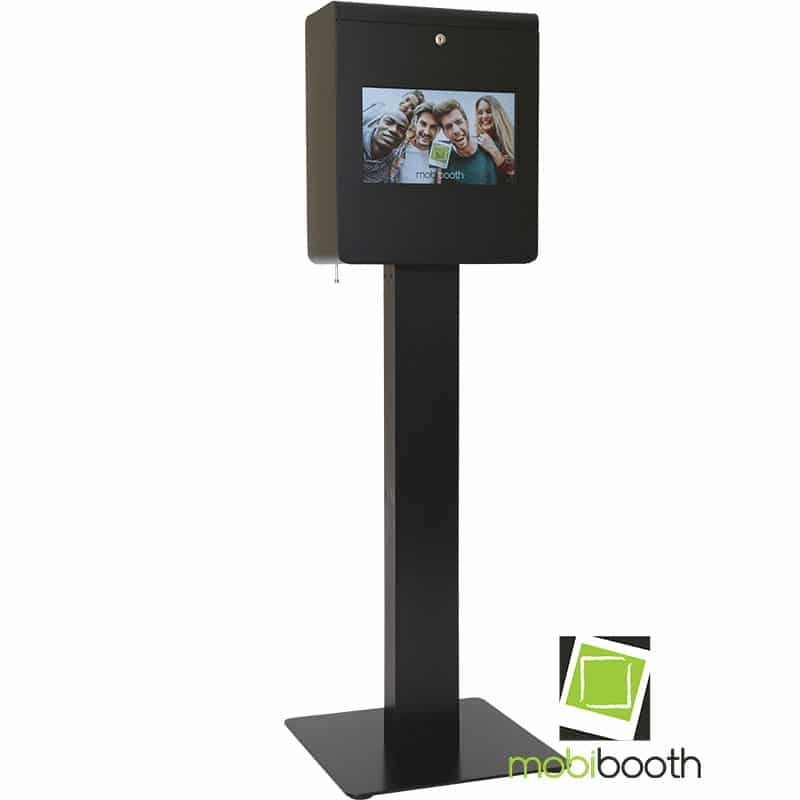 Our quick tilt and rotate system allows you to set up postcard or portrait photos without tools. 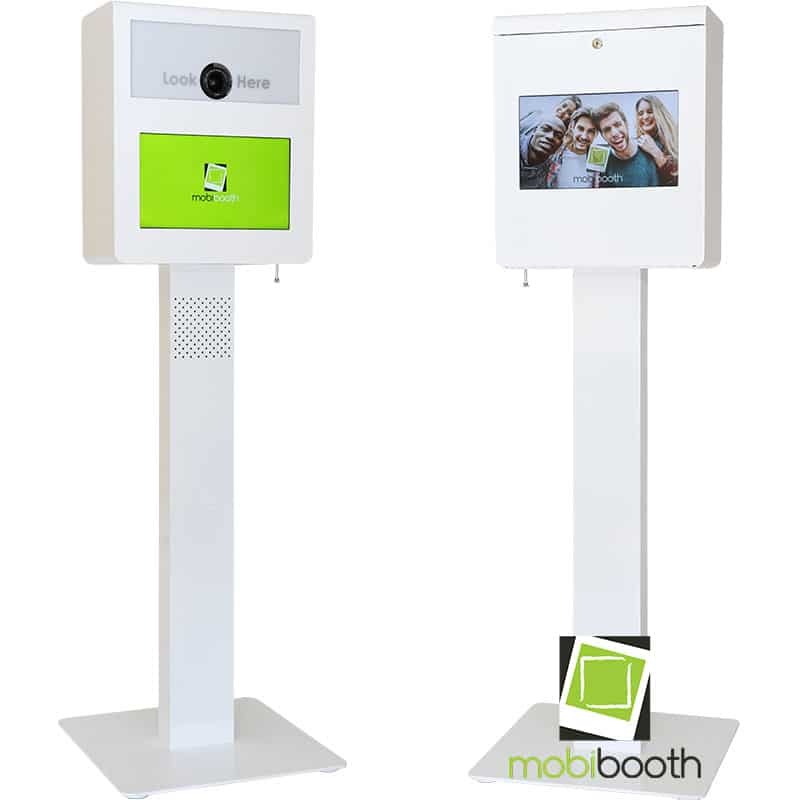 Throw in the Bose® sound system and this booth is a party of its own! The Encore has the same great build quality as the Aura. 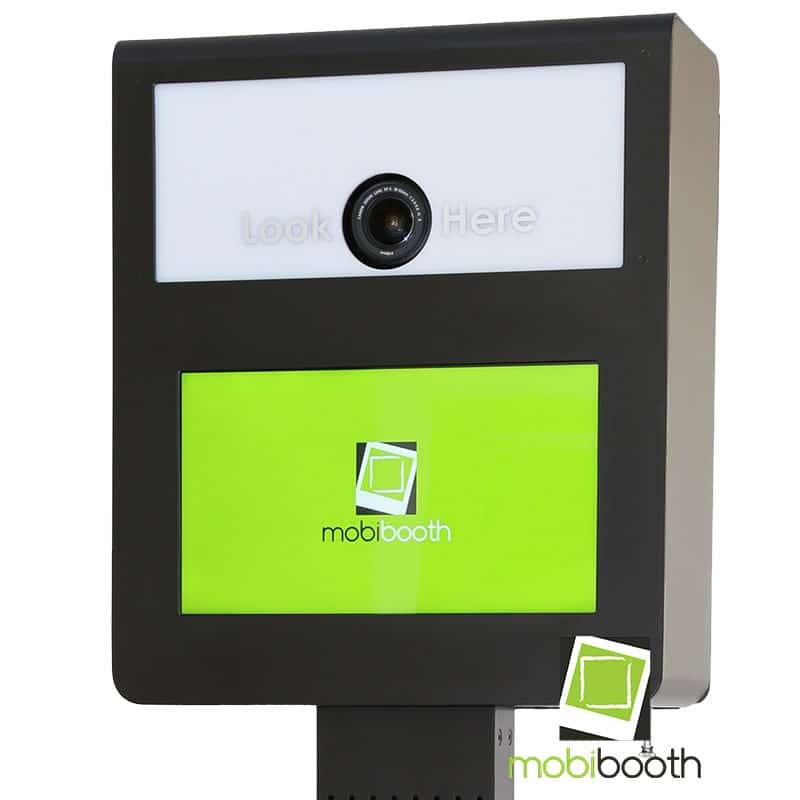 It is built from premium t6 aircraft aluminum with a powder coat finish. All hardware is flush and sight lines clean providing a stunningly clean look. 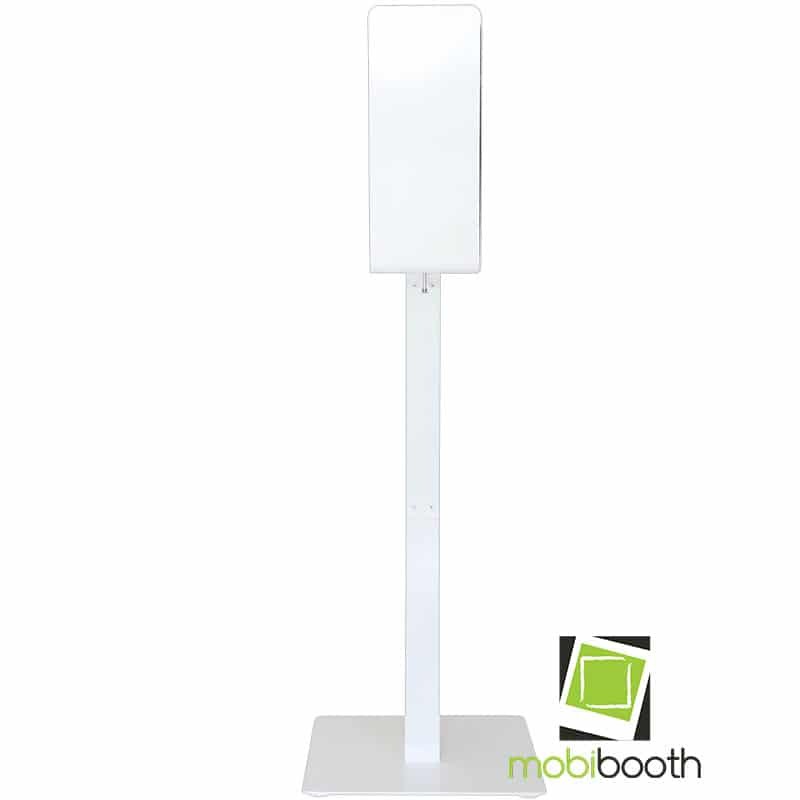 Available in white or black.